We didn't snow like Buffalo did but we did have a White Thanksgiving in Pennsylvania. 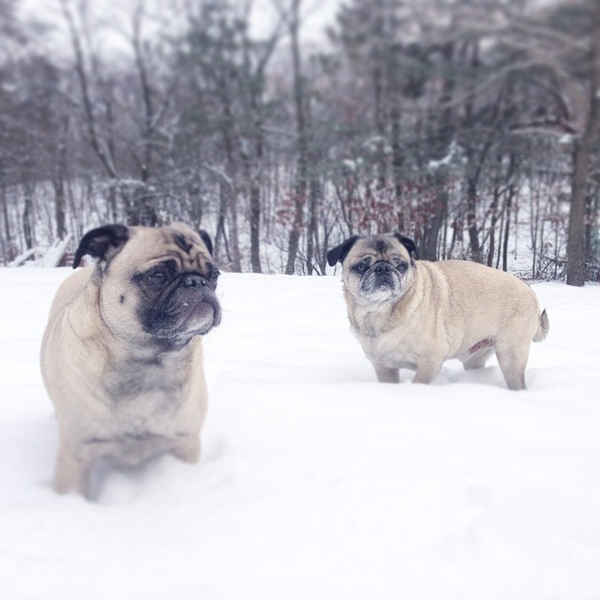 The pugs did a little romping around in it. 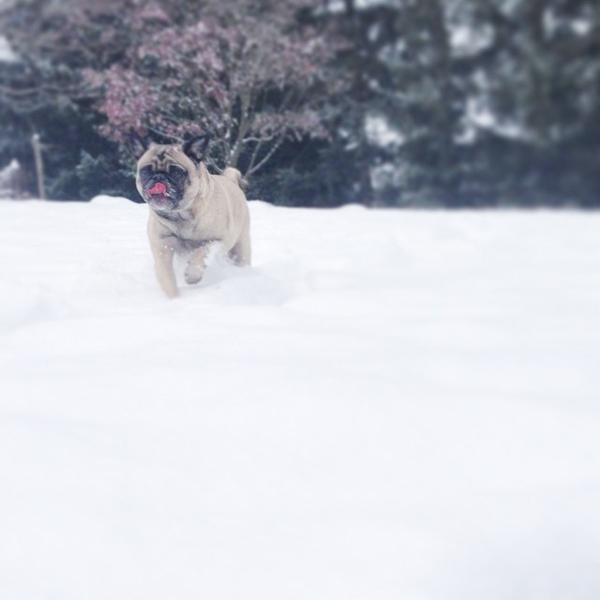 Hugo really love tearing around in the snow. No matter how deep, it doesn't slow him down. Oscar prefers standing about looking noble. 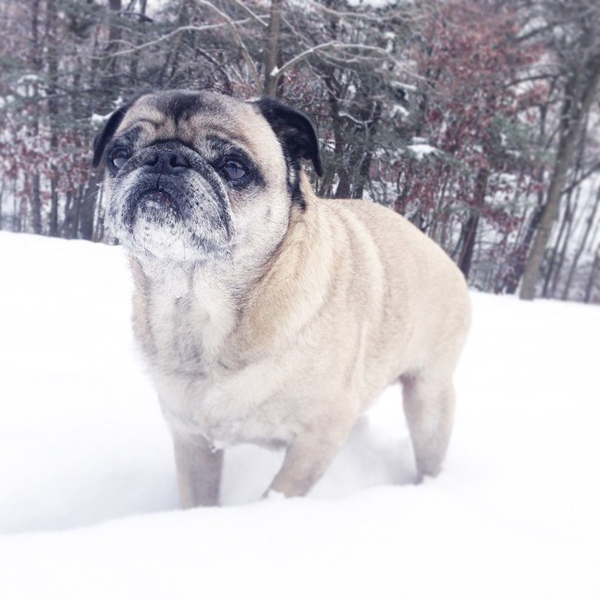 Like a polar pug.